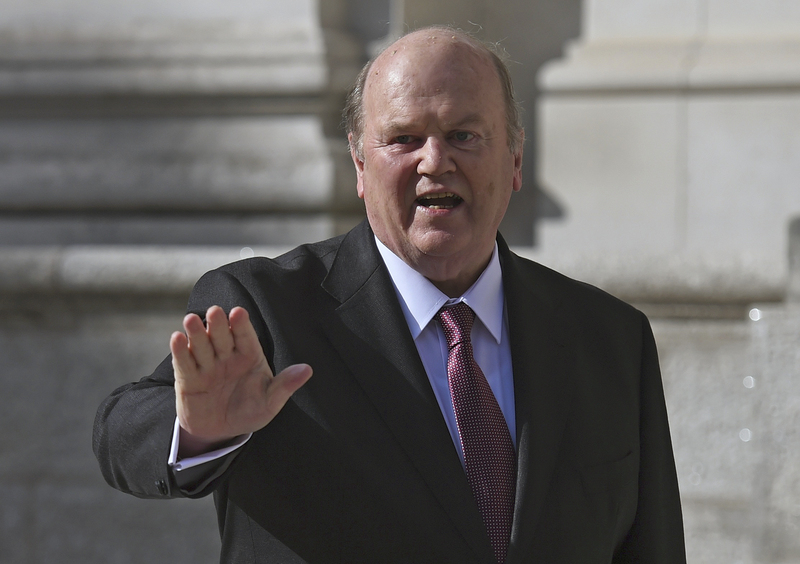 Ireland’s gilded age of tax competitiveness may be drawing to a close. UK Prime Minister Theresa May’s plans to cut the corporate tax rate, and similar pledges across the Atlantic from U.S. President-elect Donald Trump, undercut one of Dublin’s key attractions to foreign companies. Further reductions to Ireland’s headline 12.5 percent rate are politically fraught and involve forfeiting an important source of government revenue. That leaves the country more dependent on the promise of EU market access as competition for investment intensifies. May outlined her play for multinationals in a speech to business leaders on Nov. 21, with plans for the UK to have the lowest corporate tax rate among the G20 nations. Ireland may already be losing highly skilled engineering jobs to its neighbor, with Facebook, Amazon and Google all recently announcing plans to increase their UK presence. Trump’s proposal to slash taxes on business to 15 percent from the current 35 percent have potentially serious implications for Ireland if the new measures convince domestic companies to stay onshore. The United States was the source of over two-thirds of investment inflows into Ireland since 2010, according to IDA Ireland. The Irish government has few options for a counterattack. Cutting the country’s 12.5 percent headline rate to, say, 10 percent would be politically toxic following the European Commission’s recent finding that Apple paid tax of just 0.005 percent on its 2014 Irish earnings. Nor can the government, which still runs a budget deficit, afford to forfeit what has become a lucrative source of income for the exchequer. October corporate tax receipts finished the month 40 percent above target and constitute around 13 percent of tax revenue so far this year. And the dramatic reduction in Ireland’s 2015 debt-to-GDP ratio to 79 percent from highs of around 120 percent three years ago was flattered by 26 percent GDP growth last year – the result of multinationals shifting valuable assets such as intellectual property to Ireland. Guaranteed access to the EU’s 500-million strong market gives Ireland an edge while Britain negotiates future relations with the bloc. And a knack for luring foreign companies, honed from five decades of investment-focused economic development helps. But with a lingering residential property supply problem threatening to deter investment and a race to the bottom on corporate tax among developed nations, Ireland’s economic strategy looks increasingly fragile. UK Prime Minister Theresa May stated her aim for the UK to have the lowest corporation tax rate in the G20 in a speech to the Confederation of British Industry on Nov. 21. President-elect Donald Trump outlined plans during his campaign to lower the U.S. business tax rate to 15 percent from the current 35 percent.